Welcome to plumbers Ballyfermot a branch of the emergency plumbers Dublin group. We are now regarded as the largest plumbing company in the county. 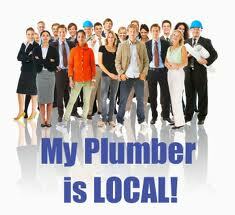 This means we offer a courteous, reliable, high quality plumbing service at affordable prices. We take our reputation very seriously. We only employ the best plumbers we can find. We ensure that all our team’s qualifications are up to date and of the highest standards. They are all fully certified, hold current health and safety certificates and are R.G.I. registered. For your peace of mind all of our work is 100% guaranteed and we are covered by our full public and private indemnity insurance. Our plumbers are spread throughout the length and breadth of the county, including Ballyfermot. This means we can also have a special 24 hour emergency plumbing service. We provide a guaranteed fast response time of under an hour for those dreaded emergency issues that happen from time to time. It doesn’t matter what time of the day or night, we will always have someone answering the phone. When you call our emergency plumbers Ballyfermot helpline we will try to assist over the phone in first instance to prevent the situation worsening, then immediately send a local plumber to your door. Small and large jobs undertaken by Plumbers Ballyfermot. We take on all jobs large and small, from a boiler service to plumbing new houses. We have the same pride and work ethic no matter what the job. Unlike some other companies we are open and honest when it comes to pricing. We don’t do hidden charges! No charge for traveling time, call out fees, sourcing parts or parking costs. We know our Ballyfermot plumbers are extremely competitive when it comes to price and we understand the economic downturn has affected many. This is why we get so many repeat customers year on year. Professional, quality work at reasonable prices. If you need any plumbing work undertaken or have an emergency call us today on 01-6874850. We will always answer your call. We are happy to offer a free quote and professional advice.